Andrew Wallace began training Taekwondo at Franklin Martial Arts at the age of 13 and earned the rank of Black Belt in 2008. 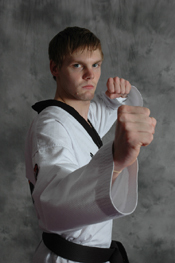 Mr. Wallace is also a Taekwondo competitor and 2007 National Junior Olympic Champion and 2012 AAU National Champion. He earned the rank of 3rd degree Black Belt in 2012, and continues to be a dedicated student in Taekwondo, Jiu-Jitsu, Boxing and Muay Thai. 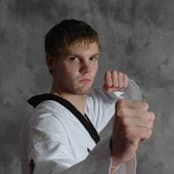 Mr. Wallace is Franklin Martial Arts' Head Taekwondo Instructor under Master Souza, teaching classes for kids, teens and adults and coaching the competition team while remaining active as a TKD Competitor.